As your child gets older there are many things that you have to encourage them to learn, these new skills are essential for developing in life and helping your little one grow. 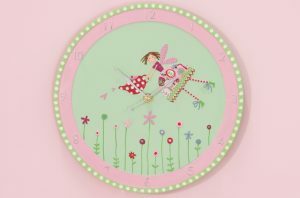 The best way to start your child off on good stead for telling the time, is to gift them with a simple analogue watch. 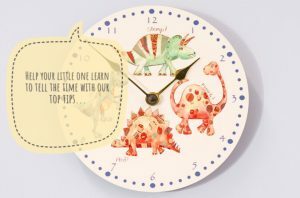 Learning to tell the time via an analogue watch is much more practical as it helps your little one to grasp the concept of time telling, and will help them to learn minutes, seconds and hours. It goes with out saying that the 5 times table is key to mastering the skill, if your child is struggling start by encouraging them to learn 5 times table in simple ways. Incorporate it into every day actives such as baking, for example using phrases such as "2 lots of 5 cookies is 10 cookies" and explain the concept to them. This should hopefully make it easier for them when it comes to understanding 5 minutes past, 10 past, 15 minutes etc. It can be hard to not overload your child with information at first, take it step by step. 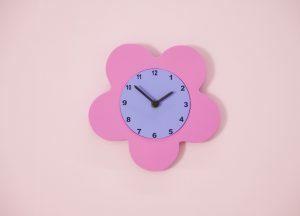 Make sure your child is used to the concept of time before jumping in with the numbers. A great way to do this could be to say simple things such as "breakfast takes 10 minutes to eat" or "let's take the dog on a 15 minute walk" doing this will help your child to grasp the over all concept of time. Show them on an analogue watch the start of the 15 minutes and the end. Make certain tasks through out the day at a specific time, for example tell them that Dinner time will be at 6pm everyday. 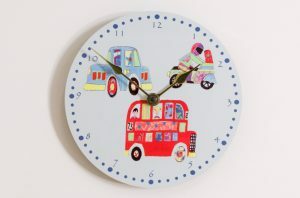 Show them on the clock where 6pm is - this will also help them to be good at time keeping.